This book is an easy-to-follow guide that incrementally develops the game framework and missions, step-by-step, with each chapter. Extensive source code is provided and explained in detail to support and explain each of the concepts in the book. This book is intended for novice game programmers with a little experience in Unity3D, who want to learn how to program eLearning games. 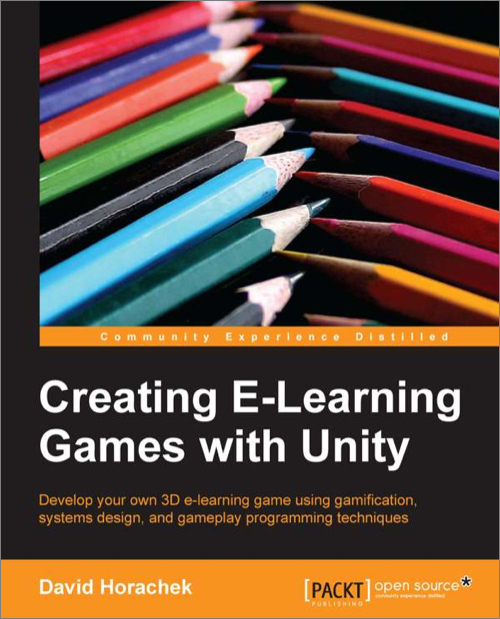 Educators and trainers who want to use Unity in an eLearning setting will also benefit from the book. It would be helpful to have a basic understanding of the concepts such as Unity scripting and the Finite State Machine (FSM), but no prior experience in game development is required.